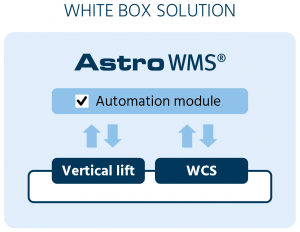 Nordic-based technical wholesaling company uses the Astro WMS® white-box solution to gain economies of time and scale while choosing the most suitable automation equipment provider when automating warehouses throughout Scandinavia and the Baltics. Ahlsell is one of the largest technical wholesale companies in the Nordics and has operations in the Baltics, Russia and Poland. With a long tradition of omnichannel retailing, the company is undergoing a process of automating several of its 250 sites to ensure it keeps its promise of delivering by 7.00 am the next day if an order is received before 6.00 pm the day before. 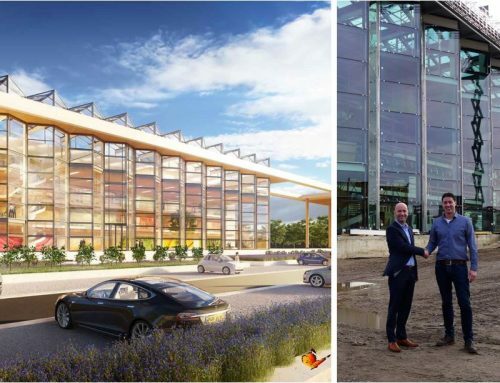 One of their first automation projects was at Norway’s Gardermoen airport, built as part of a transformation from regional to divisional deliveries. 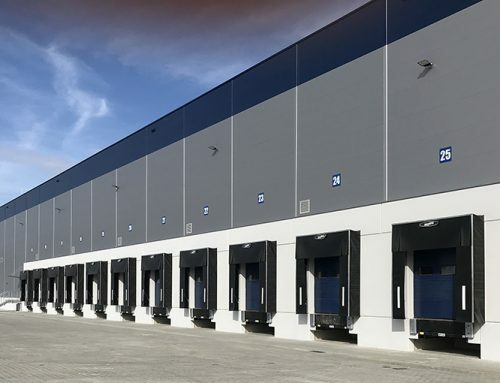 The original warehouse setup was an automated small-goods warehouse and a manual pallet warehouse using a mini-load solution. At this time, Ahlsell decided on a black-box solution from Consafe Logistics. Automation was new to Ahlsell and the automation supplier already had a WMS and WCS. However, the Norway experience showed Ahlsell that they needed to make compromises and couldn’t fully use the WMS logic they needed, having to differentiate processes in the automated and manual warehouse. When Ahlsell looked to further automate its Distribution Centre at Hallsberg in Sweden it made a dimensional analysis to look at its needs both now and in the future. The company evaluated suppliers of automation equipment as well as for the connected WMS and WCS solution. 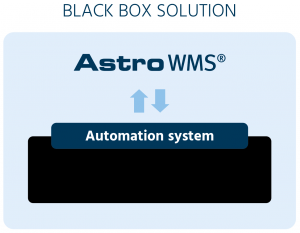 Their conclusion was that by using Astro WMS® as a white-box solution they could replicate the same user interface, and user experience. These same core steps to integration gave them a smoother transition and the freedom to be hardware agnostic – to choose the best automation equipment supplier for all their future warehousing needs. Ahlsell’s greatest requirement regardless of manual or automated warehouse is to have priority handling for next-day delivery – to pick things first that need to go earliest. The company looked at both wave and batch handling, which may give some economies, but the key for Ahlsell was order handling. 50% of orders registered after lunch 12.00 – 16.00 are delivered the same evening. Similarly, everything ordered before 18.00 is delivered before 7.00 am the following morning. What is most important to Ahlsell – and to all companies – is to fulfill on customer promises, even if it may slightly compromise on efficiency. It’s about picking the right thing in the right order. And always providing the same user experience and the same customer experience. The key with a white-box design is that it facilitates the same queue handling in both manual and automated picking. This way goods are labelled how the customer wants, packed how they want, and offers corrective stocktaking on the spot, everywhere in the warehouse. A WCS from automation suppliers currently does not have this function, with goods going to a clearing station, slowing down the process. Results since switching to a white-box solution are impressive. White-box enables the picking of customer orders in parallel with supplier orders, increasing reliability and efficiency. It also eliminated need for overtime in the mini-load. Today, the mini-load takes care of 60% of everything picked, compared to 45% before implementation of the White-box. The goods-in process is also optimized. One benefit is having exactly same setup all areas. As the setup is ready. Since this was already done in Sweden and Finland it was a simple matter of switching to the same solution/setup. This meant that the installation process was significantly faster and with less risk than making a first-time implementation or with a new/different supplier. Another major benefit is to have one point of contact for support and error handling. Automation suppliers supply mechanical products. When all the logic is in one place, it saves a lot of time when handling support cases. And picking errors are impressive at 0.07% for manual picking and 0.05% for automated picking. The bottom line is that a white-box system from Consafe logistics enables Ahlsell to implement automation quicker, correct errors faster, deliver to customers within time, and enjoy the freedom to choose any automation equipment provider they like within the different bases and countries they operate. Finding one software solution for manual and automated processes that could be easily ported across sites. Picking errors down to 0.05% (automation) and 0.07% (manual), remove overtime working, increase reliability, decrease complexity and enable the choice of any automation machinery provider. Use the same setup and logic for both manual and the automated part of the warehouse. E.g. use the same customized packages and labels, and do stocktaking and error handling in the same way. 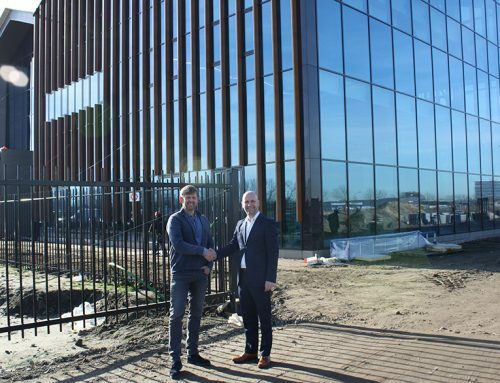 Ahlsell is the Nordic region’s leading distributor of installation products, tools and supplies for installers, construction companies, facility managers, industrial and power companies and the public sector. The unique customer offer covers more than one million individual products and solutions. 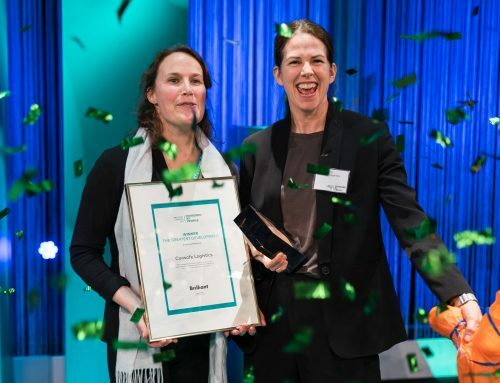 The Group has a turnover of just over SEK 29 billion and is listed on Nasdaq Stockholm. About 97% of revenue is generated in the three main markets of Sweden, Norway and Finland. With about 5,800 employees, more than 230 branches and three central warehouses, we constantly fulfil our customer promise: Ahlsell makes it easier to be professional!